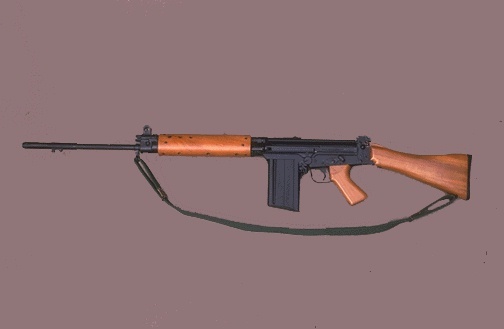 Here is a semi-automatic rifle. A rifle is a firearm with a long barrel, which gives the larger rounds more accuracy and range. The energy of the fired bullets is enormous. The .308 caliber copper jacketed bullets fired by this rifle can blow a hole in plate steel 1/4" thick.